Metalwork Solutions UK Ltd is a metal fabrication company based in Carlisle, Cumbria. Metalwork projects are undertaken throughout the UK, but core business is in the North West of England and Southern Scotland. Metalwork Solutions UK was established in 2006 and is a growing, versatile construction business that offers a range of services. They can act as a main contractor or subcontractor depending on client needs. Quality and health and safety is of paramount importance to the business. Metalwork Solutions UK became one of the first metal fabrication businesses in the area to achieve CE Marking at Execution Class 4. They also hold ISO 9001:2008 quality management system and the CHAS and Constructionline health and safety accreditations. 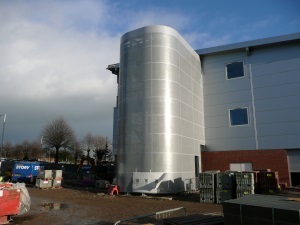 They have a skilled workforce of AutoCAD design engineers, fabricators, coded welders, site fitters and cladding specialists. Metalwork Solutions UK offer a full range of services to clients including machining, profiling, fabrication, protective coatings and full on-site installation. The experienced team of fabricator / welders and site-fitters, are proficient in working with most metals including mild steel, stainless steel, copper, aluminium and brass. Their workmanship is of the highest standard with the aim to exceed client expectations. The innovative design department has experienced draughtsmen who will produce steel fabrication drawings using the latest AutoCAD design software – they are ready to help bring your idea to life no matter how big or small. Drawings can be provided for planning applications or engineers calculations prepared for submission to building control. This can reduce costs as adaptations can be made prior to manufacture, saving you time and money. Metalwork Solutions UK are known throughout the area for their flexibility and breadth of experience in all aspects of metalwork. They endeavour to deliver all projects on time and on budget and are responsive to client needs. 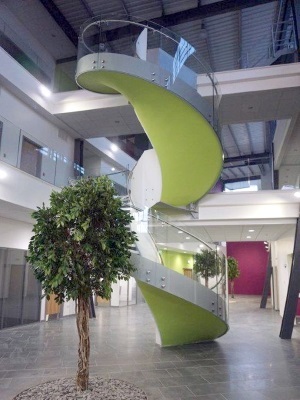 They can produce anything from industrial steel buildings up to 250 tonnes, to the more bespoke design-led projects, including feature staircases for businesses and homes. Metalwork Solutions UK have also gained somewhat of a reputation for taking on “those tricky jobs that nobody else can do”…. Contact Metalwork Solutions UK to discuss your requirements and to arrange a FREE no obligation estimate on 01228 599487. At Metalwork Solutions, we offer a complete project management solution, with the highest level of service, at the most competitive prices, without compromising on quality.